As of this date, right whales have moved away from the Bay of Fundy into the Gulf of St. Lawrence and 9 have died for various reasons. Life has been tough for whales living there for several centuries. In 1912 Margart Macwhiter published a book entitled TREASURE TROVE AND THE BAIE DES CHALEURS discussing life in this area at the turn of the century. Some of the original whalers we still around and she was fortunate to interview them. 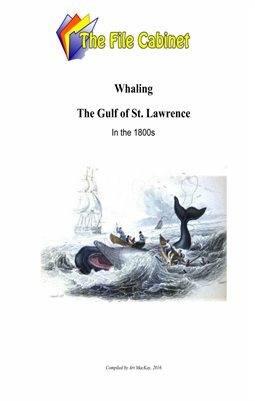 She provides a vivid look at the whaling industry in the 1800s.